M and I have been exploring the surroundings of our house for a long time now – M says for 3,5 years. And still we find new places! I think that is amazing. 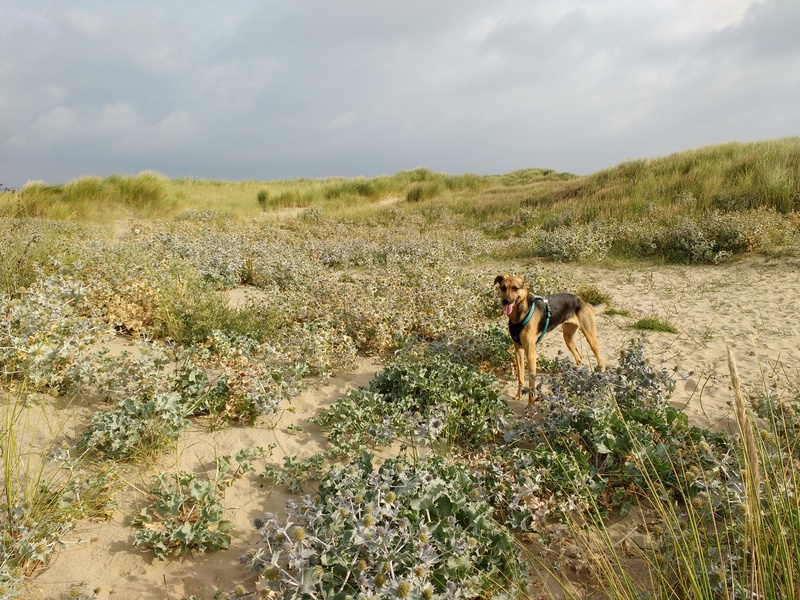 It had lots of odd looking prickly plants and nice soft sand. The wind carried the salty smell of the sea, which is never far off where I live. Nice! You see: we do not have to go far to have adventures. Just keep exploring!